Email marketers consume most of their day in setting up a successful email marketing campaign. It starts from campaign planning to crafting the perfect copy. They spell out in detail the target audiences, and the message to be sent. All the email marketing best practices are put in place to see surefire campaign success. After putting so much efforts and energy, it hurts a lot if the message doesn't make to the right recipient. You may have acted with a right campaign strategy, design, and development, but if the email doesn’t reach the inbox, it's futile and of no use. While measuring the metric, marketers often mix delivery and deliverability as the same term. Both the terms are often used interchangeably, but have very different meanings. 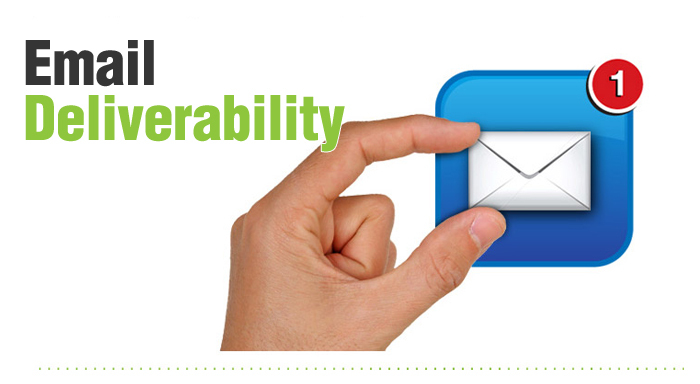 In email marketing, Delivery refers to a condition whether or not a receiver accepts your email. Leaving the inbox or spam folder aside at first place, Delivery ensures if the message can physically be accepted in the first place? Also called Inbox Placement refers to where that message ends up once it is accepted. Deliverability is condition that tells where the mail ends up once it's accepted, whether in the inbox, spam folder, or another folder. This is the set of certain protocols that authenticates the sender's identity. This combines together several set of regulations viz. Sender Policy Framework (SPF), DomainKeys Identified Mail (DKIM), and Domain-Based Message Authentication, Reporting, and Conformance (DMARC). This metric checks sender's reputation and trustworthiness. Notably, an organization and a internet service provider (ISP) weighs you differently on reputation scale. You can yourself boost your reputation by generating positive subscriber behaviour and establishing you as a trusted sender. This is the finest way to boost your sender reputation. You can do it by relevant, personal and specific emails to your subscribers. Content of an email is another key point that creates the difference. The email should consist a message that's appropriate for your audience and must be relevant. Poor writing and messaging practices impact your e-mail deliverability and hurt the chances of your email being opened or read. Among three parameters cited above, identification and reputation make the most out of it. They are the main reasons behind if your mails are thrown in spam or Junk folders. How To Ensure Delivery Of Your Mails Into Inbox? As you're now more open about the difference between deliverability and delivery, here is a quick take on how to ensure delivery of your emails in the inbox. An email list with likely more inactive subscribers can impact the deliverability of your campaign. As the list constitutes a bunch of inactive subscribers can offset your engagement metrics. That's why you should consider removing or suppressing inactive customers after a set time. 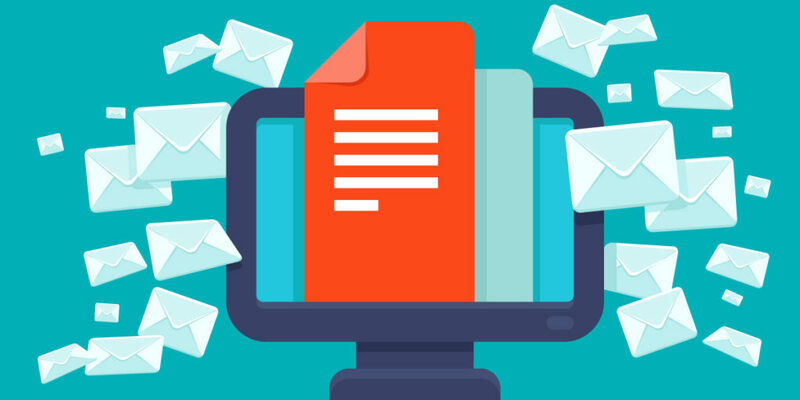 If you're facing serious deliverability crunch, chances are there that your email list includes spam traps, means it has emails which look like real email addresses. Use an email validation service, software or tool for removing invalid emails on a regular basis. Sending emails to those who are not even interested in receiving them, leads to poor open rate. If you have allowed your audience to subscribe your newsletter, give them an option to unsubscribe it as well. There could be plenty of reasons why your audience is leaving your list. If they're no more interested in listening to you, better let them go. Attach an unsubscribe link in your email to allow them do so. It will even be helping you in boosting your subscriber engagement and cleaning up your email list. Once those people go out of your list and your emails reach the people who want to receive your emails, then opens and clicks will automatically increase. While sending the mails, ensure they're being sent to the right people at a very right note. When clicking the send button check whether you are sending content that matters to your audience. This is the most important question need to be asked to yourself first. Sending emails that resonate with your audience positively impact your deliverability. How To Improve Your Email Open Rate ? If you are using email marketing, treat your list like it’s gold. If you don’t take care of it, your emails won’t be getting delivered to people’s inboxes, which means you won’t be making money from them. Excellent post. I think that we can increase email open rate by adding some real and unique Title of the Email too.